Mariachi Los Camperos was founded in 1960 by mariachi “giant” Natividad “Nati” Cano. In 2015, Jesús “Chuy” Guzmán succeeded Cano as Music Director of Los Camperos following Cano’s untimely passing. Jesús Guzmán is a master of traditional mariachi instruments, including trumpet, vihuela, guitarron, guitar and violin. Mariachi Los Camperos has recorded nine albums and has appeared on The Tonight Show and the Grammy Awards, among others. 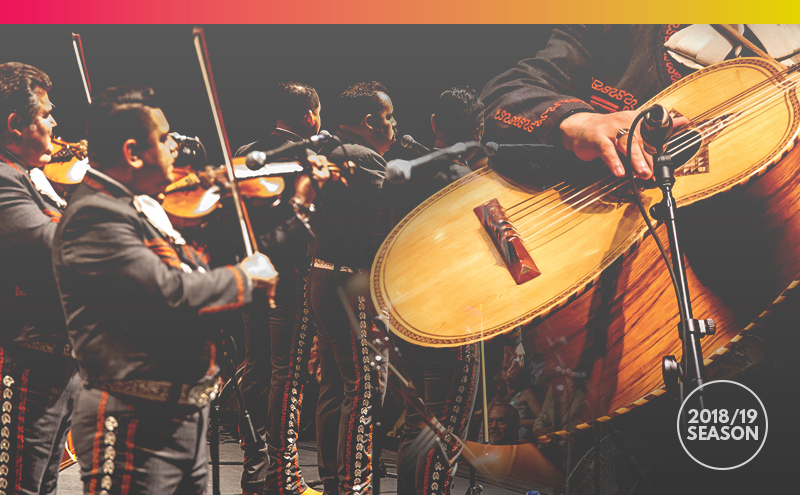 With their unique blend of musicianship and virtuosity, the two-time Grammy-winning mariachi band returns for an encore performance with the PSO. In their crowd-pleasing debut last November, the group performed on the second half of the program. This time, they return with a complete show that includes solos, duets, trios and of course, their signature virtuoso orchestral arrangements based on the albums that made them Grammy winners. If the first time brought the audience to their feet, this time, the fiesta may last all night long! click here & subscribe today! Opening Night Violin Showcase – Single Tickets On Sale Now!